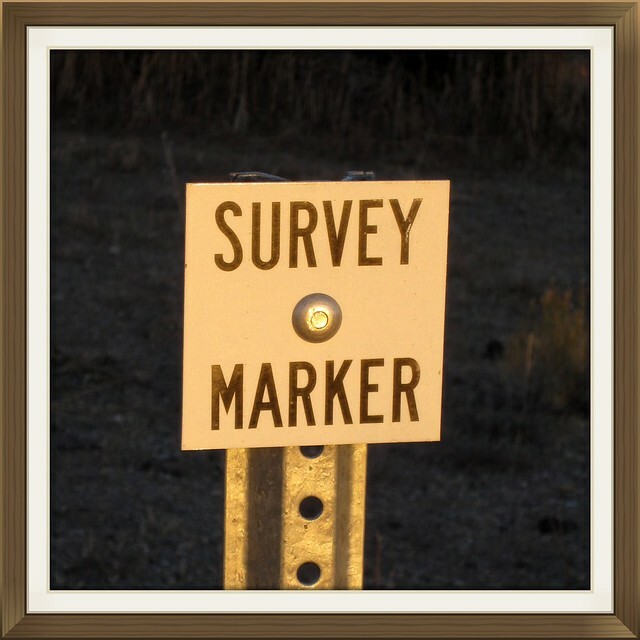 One of the simplest and easily understood descriptions of a “survey crew” is found on Yahoo Answers…Basically, they are plotting where some work needs to be performed by measuring with their instruments. Sweet. As Believers, God’s Divine Survey Crew is busy in us surveying our hearts for the areas where work needs to be performed. Philippians 2:13(AMP) [Not in your own strength] for it is God Who is all the while effectually at work in you [energizing and creating in you the power and desire], both to will and to work for His good pleasure and satisfaction and delight. For me, sometimes when God is “surveying” it’s gentle. It seems like when He finds the issue that needs dealt with He gently brings it up to the surface for my attention. Other times it’s like getting hit with a two-by-four…right between the eyes…in the dead of night. And then there are times when I feel Him excavating, like an archeologist, into the deepest chambers of my heart where I have carefully buried items I do not want to deal with. God doesn’t leave things alone. He brings them into the light, reveals them for the sins they are and expects action…always for our good. Sometimes it is difficult and sometimes down right painful, however, God will have His plan and Divine destiny accomplished in those He has called regardless of any discomfort it may cause. Rick Warren said…God can create something from nothing. He can take a heart that is broken, impure, or failed and turn it into a heart that is whole, pure, and purposeful. God wants to see you pure, so he takes an active role in creating your new heart and bringing order to the chaos of your life. We have a choice…Either we can lay ourselves bare before the throne of God and allow His survey crew total access or He will blast through our walls of disobedience. Job 9:4(MSG) God’s wisdom is so deep, God’s power so immense, who could take him on and come out in one piece? May we find ourselves thankful for Gods Survey, obedient to His direction, mindful of His purpose and putty in His hands.